This desert oasis has been a vacation destination since the 1890s, but its heyday began in the 1920s. Movie studios in Los Angeles enforced a “two hour rule,” which required contract actors to stay within two hours drive of Hollywood for last minute film takes. 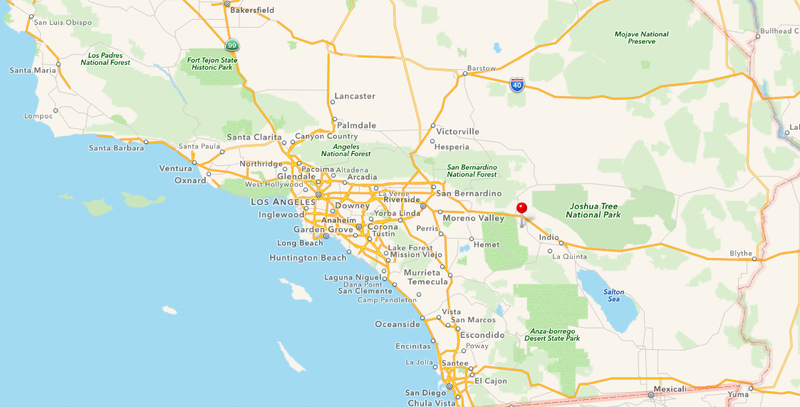 Palm Springs was perfectly situated – far from the public eye, equipped with all the amenities a star could ask for, and within the mandatory two hour driving distance. Former residents include Clark Gable, Frank Sinatra, and Dean Martin. The city has been a Hollywood favorite for decades, and is home to a unique architectural movement called Desert Modernism that started in the 1930s, and flourished through the 1970s. It was named a Preserve America City in 2009. Hollywood stars funded the architecture movement here, and the Movie Colony is a popular tourist destination. The stars are still around, too. 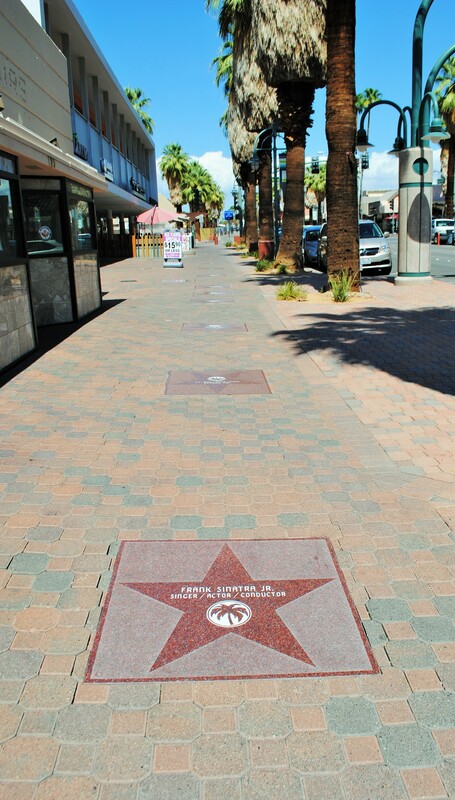 Look at the sidewalk on North Palm Canyon Drive in downtown – Hollywood isn’t the only city with a Walk of Stars. Gwen Stefani, Leonardo DiCaprio, and Halle Berry are a few of the famous faces you might bump into today. Palm Springs Walk of Fame. All photos courtesy of Christina Boyes. Amazing art museums, architecture walks, tours of old Hollywood neighborhoods, hiking, family adventure parks, and the Coachella music festival number among the area’s attractions. Founded in 1938 to house Native American artifacts, the museum quickly expanded to over 28 galleries, two sculpture gardens, and several other facilities. The museum’s collection houses works by Marc Chagall, Andy Warhol, Ansel Adams, and Pablo Picasso. Experience the story behind Palm Springs when you book one of the area’s historical society tours. Although most focus on Hollywood, some also show the impact of Spanish architecture on Palm Springs. The desert is unbearably hot, and when you’re a kid, water parks are a hit. Formerly Knott’s Soak City, Wet ‘n’ Wild is a 16-acre water amusement park with 20 water rides and 13 water slides. Cool off, have fun, and relax for a while at this attraction. Built over thirty years ago by Knott’s Berry Farm sculptor and portrait artist Claude K. Ball, the Cabazon dinosaurs have appeared in movies, film, and print ads. Originally designed to attract business to Mr. Ball’s roadside café, the dinosaurs now house a museum that rejects the idea of evolution in favor of the Young Earth hypothesis. No matter what you believe regarding the Earth’s age, the attraction is a fun stop for younger children, and a nostalgic encounter with roadside Americana. There are more than 1,000 vacation rentals available in the Palm Springs area – many were once the homes of celebrities. From writer Dale Wasserman’s former residence, Cookoo’s Nest, to the Hibler House that once belonged to famous Disney Producer/Director Winston Hibler, and Harpo Marx’s old home, you can do more than visit Hollywood history in Palm Springs. You can sleep in it.